Kingstonians are lucky for a number of reasons: our convenient proximity to beautiful waterfront, our stunning historical architecture and our abundance of fresh local food and strong culture of supporting local shops and farmers. 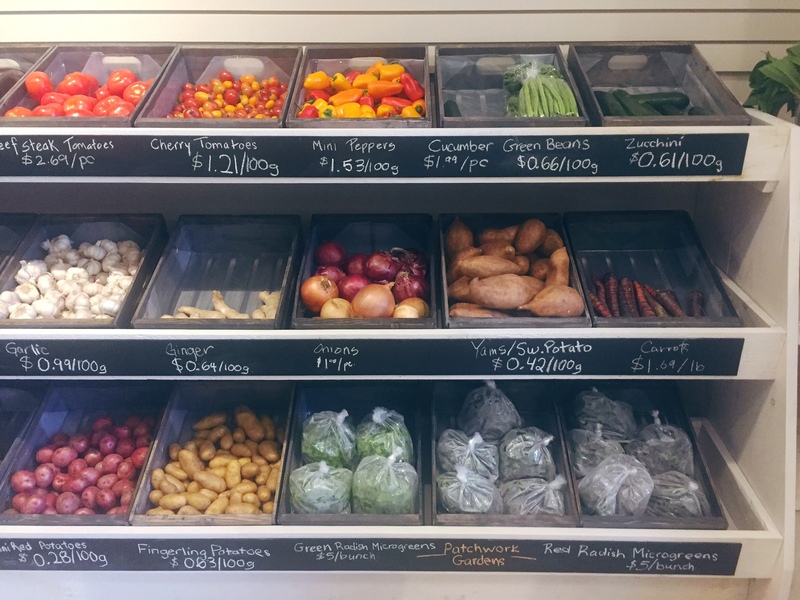 Exciting news, a new addition to Princess street (east of Clergy), The Grocery Basket, has made accessing fresh local produce and supporting local farmers fun and easy. I strolled in this afternoon and was greeted by the sweetest young woman, Brianna, who volunteered to give my husband and I a little tour of the new space. Brianna explained the store’s effort to provide as many local ingredients as possible and introduced us to all the The Grocery Basket has to offer. 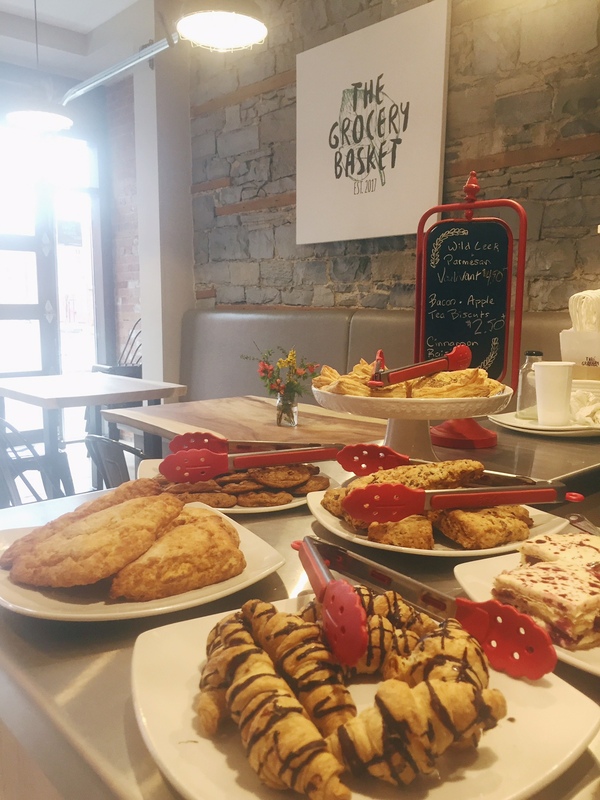 The Grocery Basket is a multi-purpose shop with prepared, frozen meals and lunches to-go as well as fresh produce, fresh baked goods (daily), handmade cheeses and vegan food items that are hard to find in regular grocery stores (like dairy-free cream cheese and avocado-oil mayonnaise!). With produce curated from my favourite local farmers: Main Street Market and Wendy’s Market (Wendy sources from local independent farms), seeing all of the fresh goodies reminds me of the joy I get from shopping the markets on Sunday mornings. Now, it can feel like Sunday morning on any week day or night. Exciting! After just a quick drop in, I pick up a bag of Main Street Market pea shoots, a bunch of garlic, a honey vanilla tea and my husband grabs a coffee. As we walk out of the store, he says, “I feel like you’re going to be visiting there a lot.” He’s not wrong. Keep up with The Grocery Basket: Facebook – @thegroceryygk, Instagram – @thegroceryygk, Twitter – @thegroceryygk.